« Your Union Needs YOU! Health unions, including UNISON, have agreed to consult on government ministers’ final pension proposals at the conclusion of negotiations. UNISON will ballot all health members as soon as a final offer is on the table as a result of these negotiations, and members will have the final say on whether any offer is accepted or rejected. The document is not an agreement or a deal. It is the government’s final offer to the unions and does include some improvements as a result of union action on 30 November and negotiations. It will be for each union to determine their response through their own democratic processes. Formal negotiations on the NHS pension scheme in Scotland have not yet started with the Scottish government. The trade unions are aware of the proposals for England and Wales and will be discussing them with the Scottish Health Minister in the New Year. Full protection for those within 10 years of the normal retirement age of their current existing pension scheme, including those with special class status. They will continue to be able to retire at 55, 60 or 65 depending on what scheme they are in. An additional 3.5 years tapered protection. The new proposed scheme would come into effect in 2015 and would be a career average scheme with an accrual rate of 1/54 uprated by CPI plus 1.5%, this represents a significant improvement from the outset of the negotiations. The government is still proposing contribution increases. In 2012 members will pay between 0 and 2.4% extra. Those with a pensionable salary of less than £26,557 will not pay any extra. This will apply to 48% of the NHS workforce and probably around 70% of UNISON members. There will be further discussions on contributions in years 2 and 3. Normal Pension Age (NPA) will remain equal to State Pension Age (SPA). We could not shift the Government on this issue. Unions have proposed a number of alternatives but as yet this remains in the Heads of Agreement. Fair Deal will apply in health and anyone being TUPE transferred will be able to keep their NHS pension. 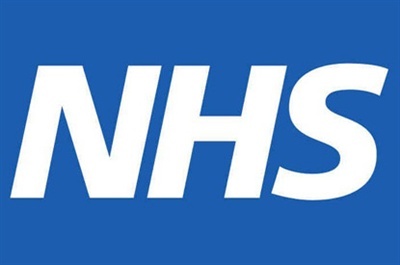 They are proposing to review extending access to the NHS scheme for staff working in Any Qualified Provider organisations (AQPs). A tripartite review of the impact of the proposed increase in pension ages on certain categories of staff including those in emergency services. This entry was posted in News and tagged 30 november, nhs pension reform, nhs pensions heads of agreement, pennine care, UNISON. Bookmark the permalink. Comments are closed, but you can leave a trackback: Trackback URL. If you'd like to get in touch, call us direct on 0161 716 3392 or request support online. Join us today and get essential cover at work. Call 0800 0 857 857 or visit www.joinunison.org.